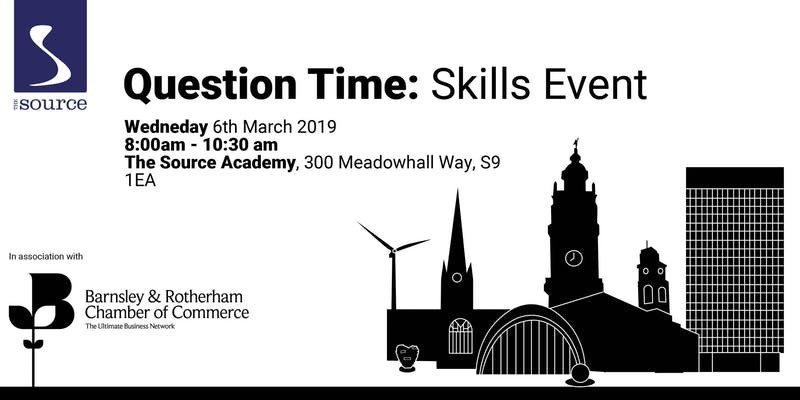 For National Apprenticeship Week 2019, The Source is hosting a Question Time event to discuss skills, apprenticeships and growth in the Sheffield City Region after Brexit with a range of professional speakers. As this is a Breakfast Event, refreshments will be provided after registration. How the skills horizon and SCR priorities for skills is affecting the labour market locally. What impact Brexit will have on skills and employment regionally. How local employers are making the most out of apprenticeship funding. What learners think about the value of apprenticeships and the impact apprenticeships have on their lives. The scope of training provision The Source can offer, including tailored programmes and embedded work place learning. An opportunity to network with other businesses in the region.